Do car trackers work on electric cars? Hybrid and electric vehicles cars are rapidly gaining popularity. It’s safe to say that electric car sales really are accelerating. Traditional carmakers, such as BMW, Ford and Jaguar are all producing electric models for the mass market. Since 2013, the number of electric vehicles on the road in the UK has gone from 3,500 to 85,000. Volvo even made a bold statement by saying that every new car in their range will have an electric power train from 2019. Electric vehicles have big environmental benefits, plus they drive beautifully and they can save you some cash in the long run. If you’re the proud owner of an electric vehicle, then you should be the proud owner of a top quality vehicle tracker too. 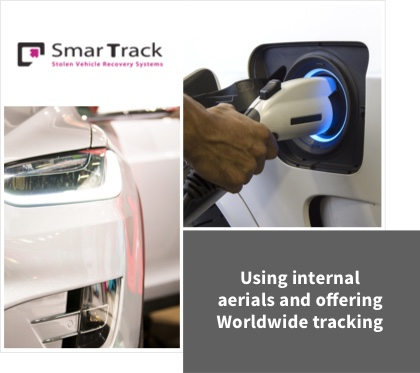 We have a tracker to suit all vehicles – including electric cars and hybrids. 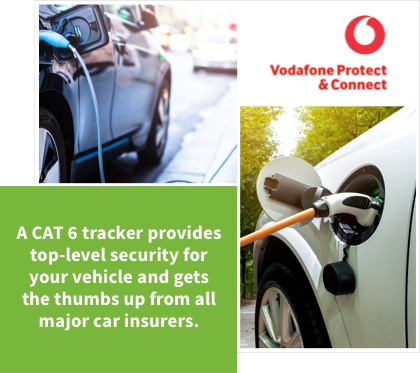 The Vodafone Protect + Connect 6 tracker is perfect for electric cars. A CAT 6 car tracker provides top-level security for your vehicle and it could even cut the cost of your car insurance. This vehicle tracker gets the thumbs up from all major car insurers and is fitted as standard by several car manufacturers including Audi, Nissan, Volkswagen, Bentley, Porsche, McLaren and Ferrari. 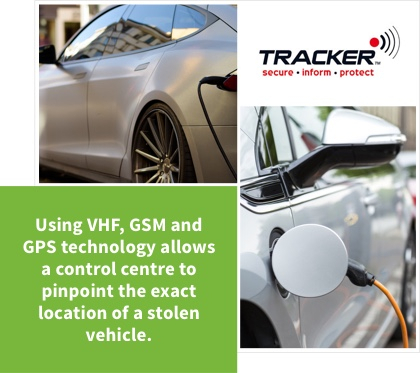 The Vodafone Protect tracker has motion sensors and will alert the control centre if anyone tries to tow away your vehicle. Make the most of this tracker wherever you are, as the SmarTrack Protector Pro Tracker offers worldwide tracking. Even better, these top trackers use internal aerials so they won’t get damaged with bad weather and potential thieves can’t tamper with them. Thieves can’t hide your car with the Tracker Locate. This top-of-the-line tracker uses three tracking methods to locate stolen vehicles. VHF technology allows police to find a stolen car, even if it’s kept underground in a car park or in a shipping container. GSM and GPS technology allows the control centre to pinpoint the exact location of the stolen vehicle. For more information on our top-notch trackers, please call our friendly team on 0800 7565100. Lines are open 9am - 6pm Monday to Friday.